I don’t have any kids yet, so I consider Cincy Chic my baby right now. I gave birth to it four years ago on a couch in Philadelphia. Since then, I’ve been with it every step of the way, helping it learn to walk, make new friends and grow into a beautiful young publication. Well, as a part of “making friends,” Cincy Chic and I have met an array of amazing local designers and some savvy boutique owners. Two of these people are Megan from FENNOfashion and Nancy from LouLou’s Boutique on Bridgetown Rd. 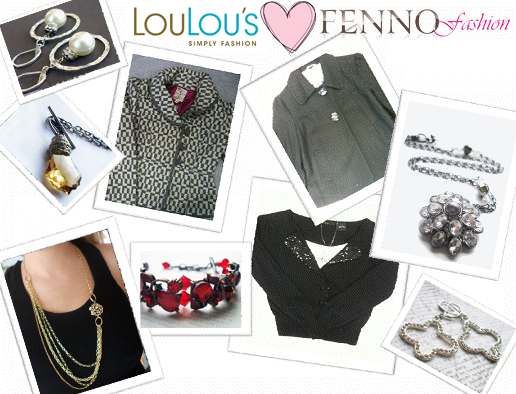 I just learned that Megan and Nancy connected at a recent Cincy Chic event and now LouLou’s is carrying FENNOfashion jewelry! It was a “proud mama” moment! It’s like my child introduced two people who are now dating! haha! I’m really excited! I know this is a big step for Megan who has been primarily selling on her website and events. And it’s great for LouLou’s to be tapping into the local designer community who can introduce new shoppers to her store!